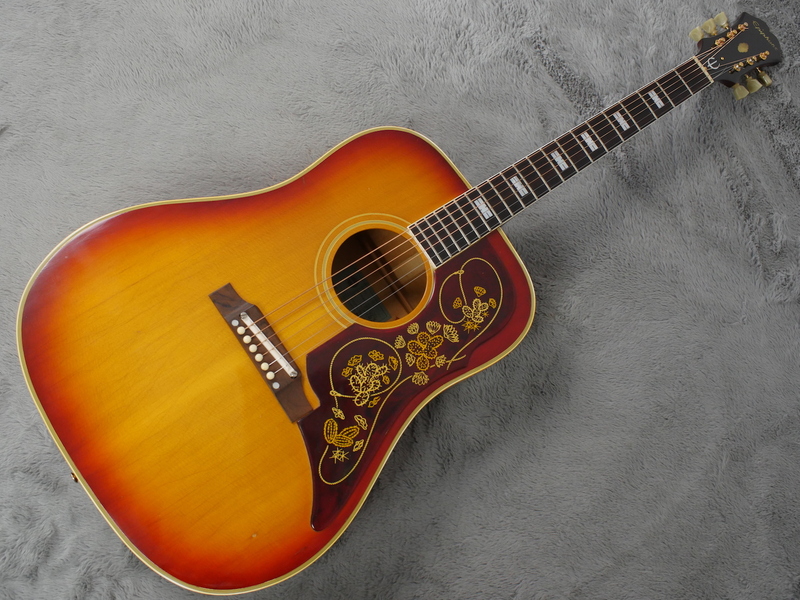 Not often seen here in the UK and a rather tasty acoustic at that, this classic 1964 Epiphone is and was, a god send to the people of the day who loved the vintage Gibson acoustic sound but preferred the Martin type, longer scale length of 25.4” Paul McCartney in particular, was for this reason, very fond of the vintage Epiphone acoustics over the equivalent Gibson. 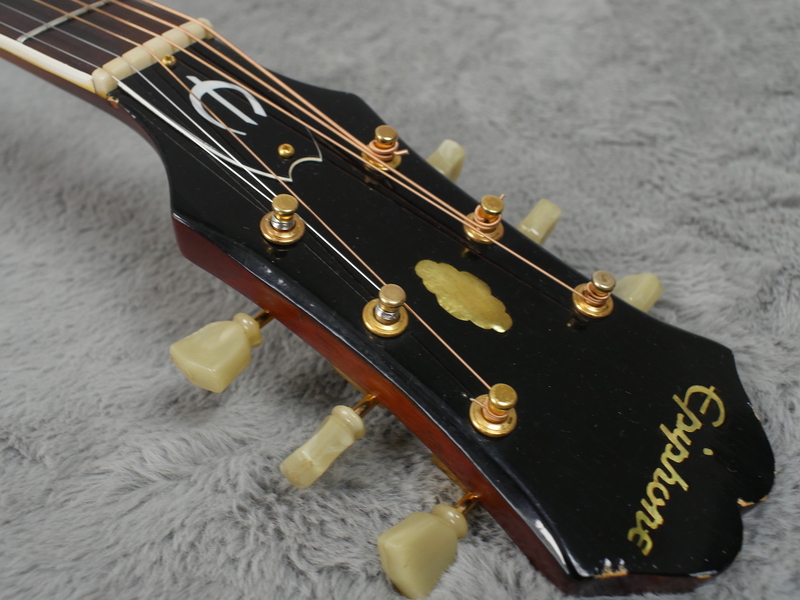 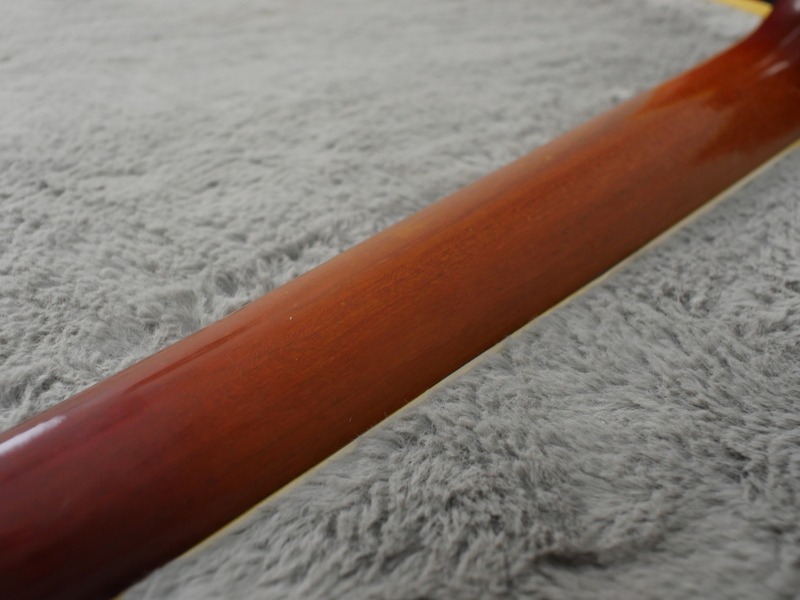 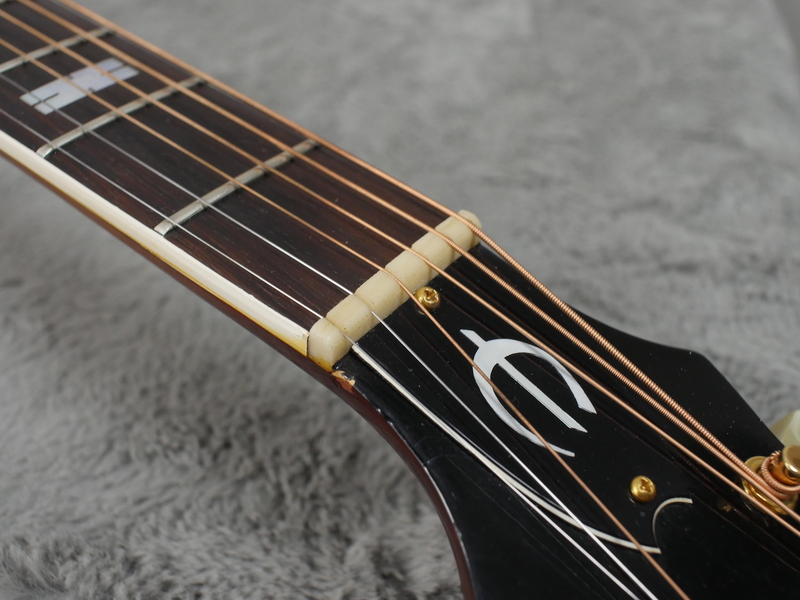 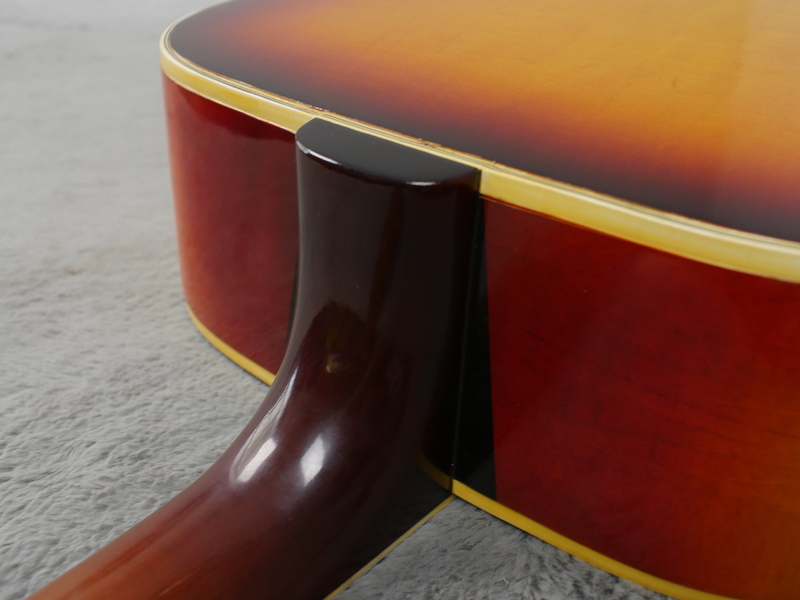 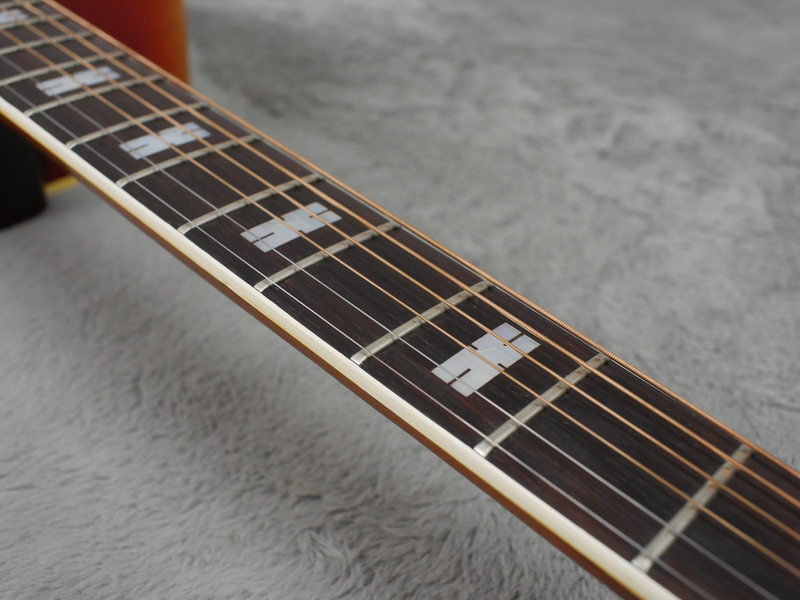 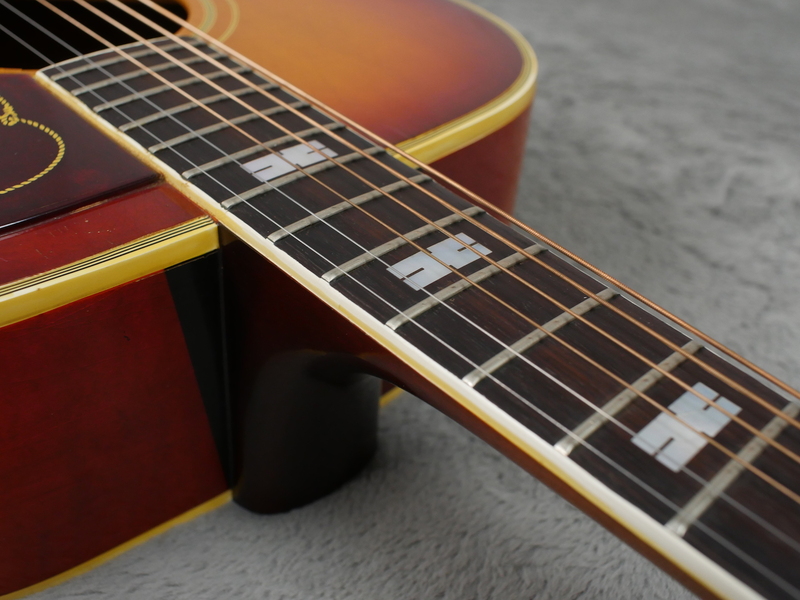 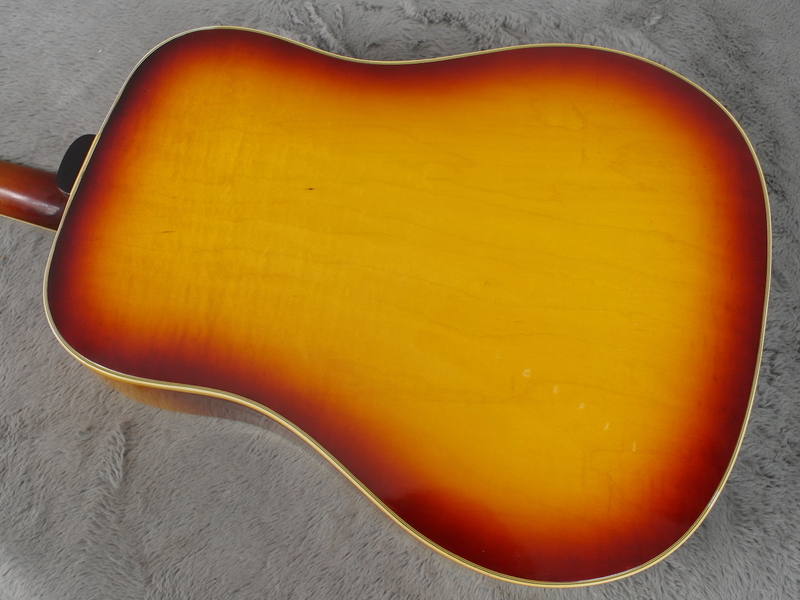 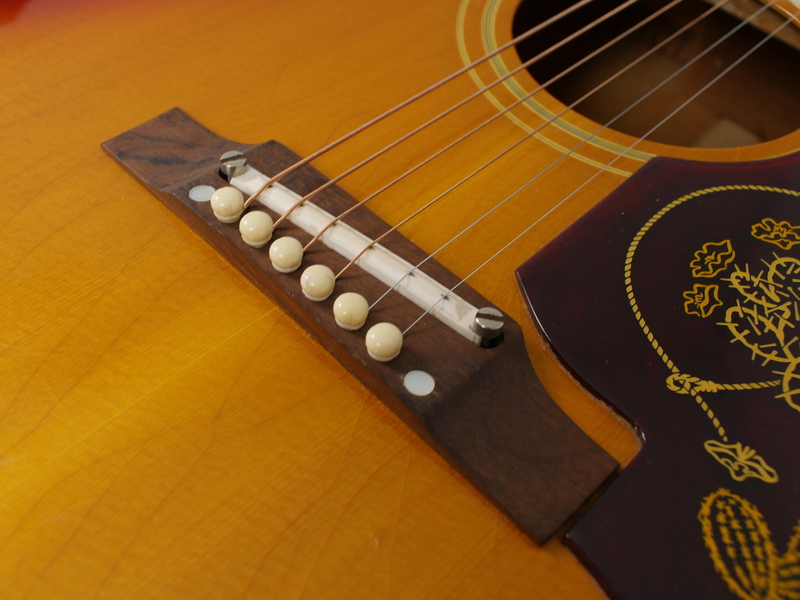 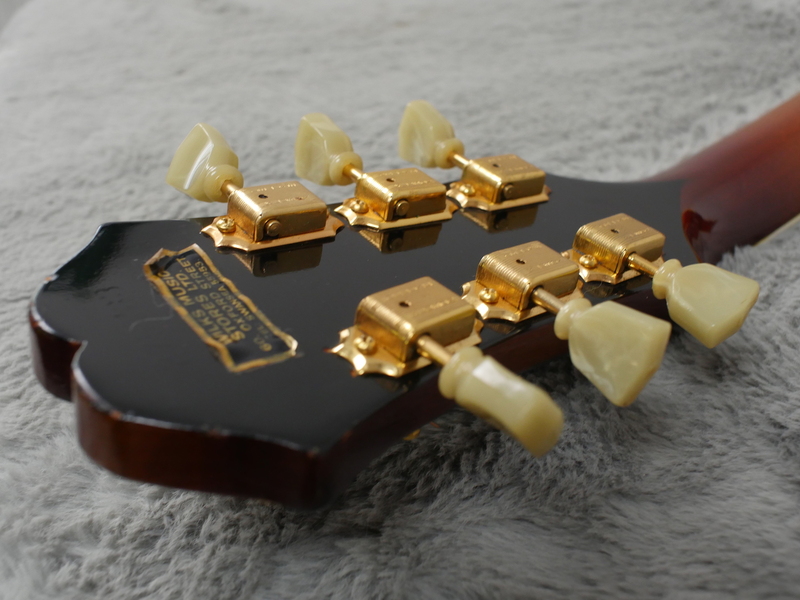 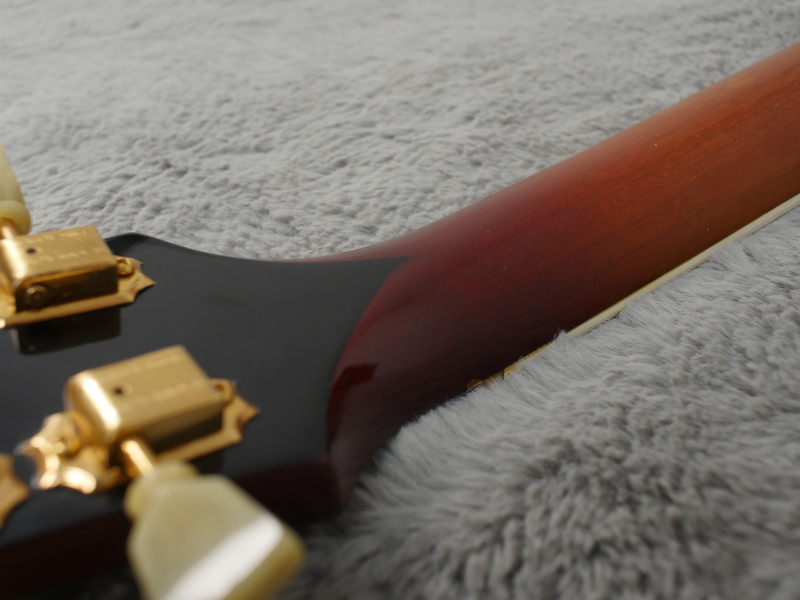 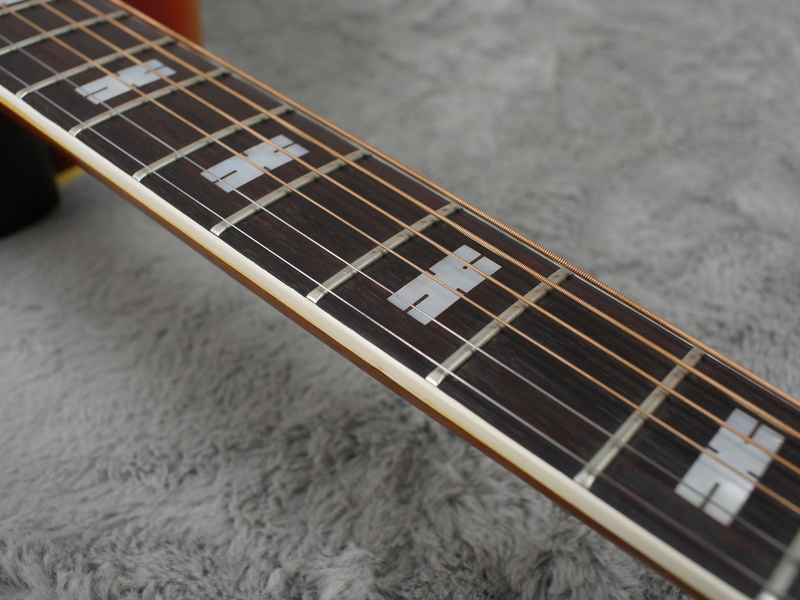 This one is an absolute beauty, made in 1964 which, anyone that reads our write ups knows, is one of the best years for Gibson (and Epiphone) necks. 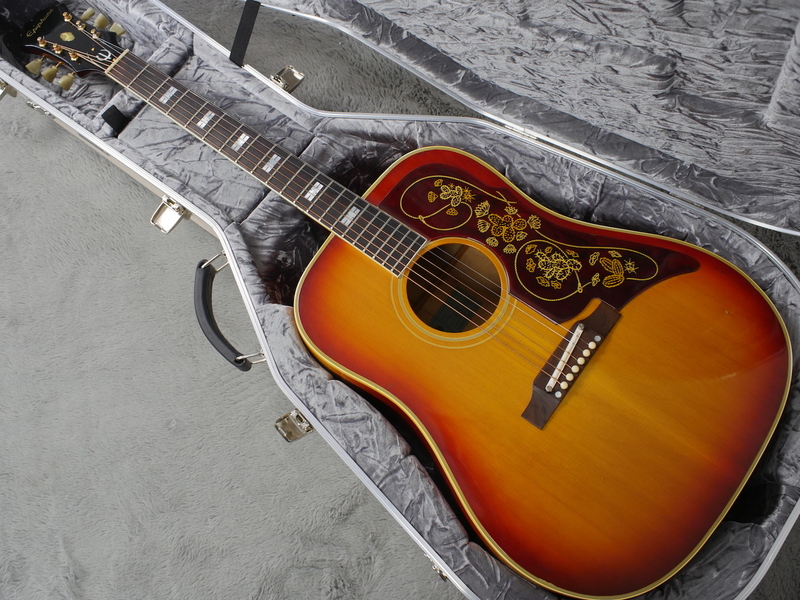 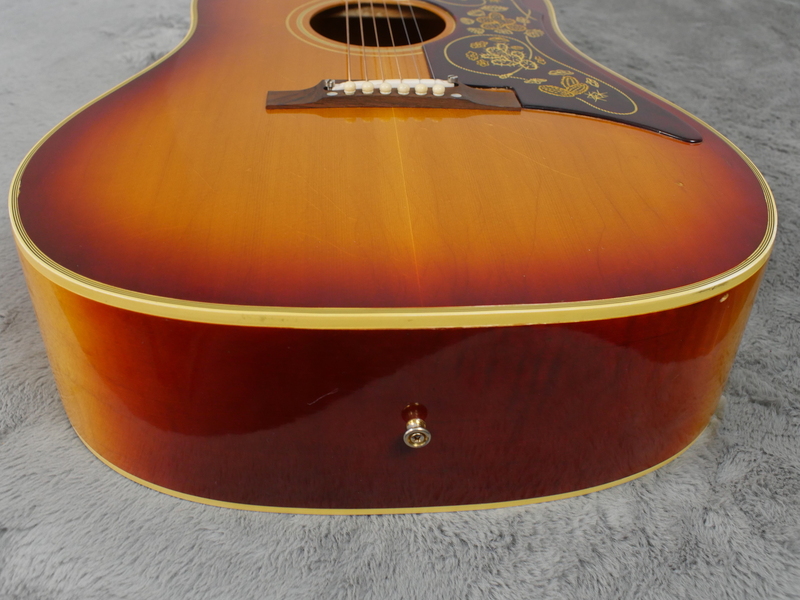 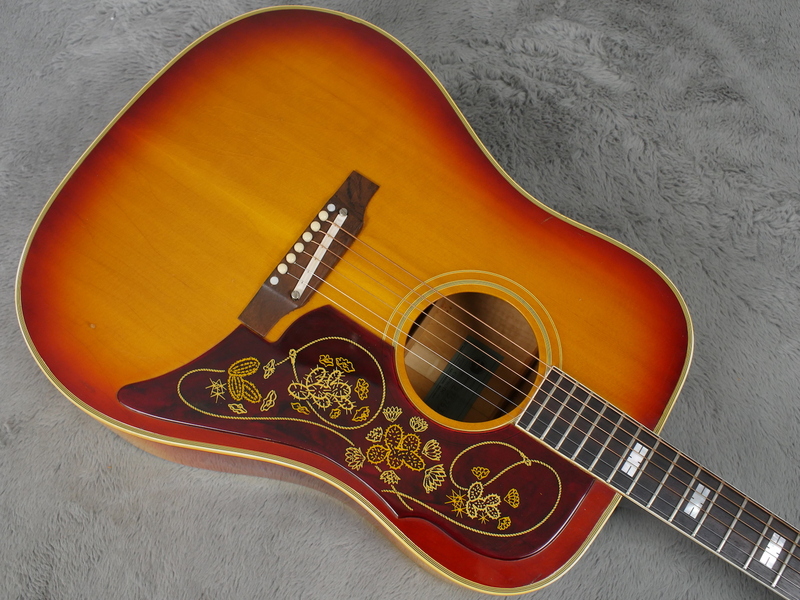 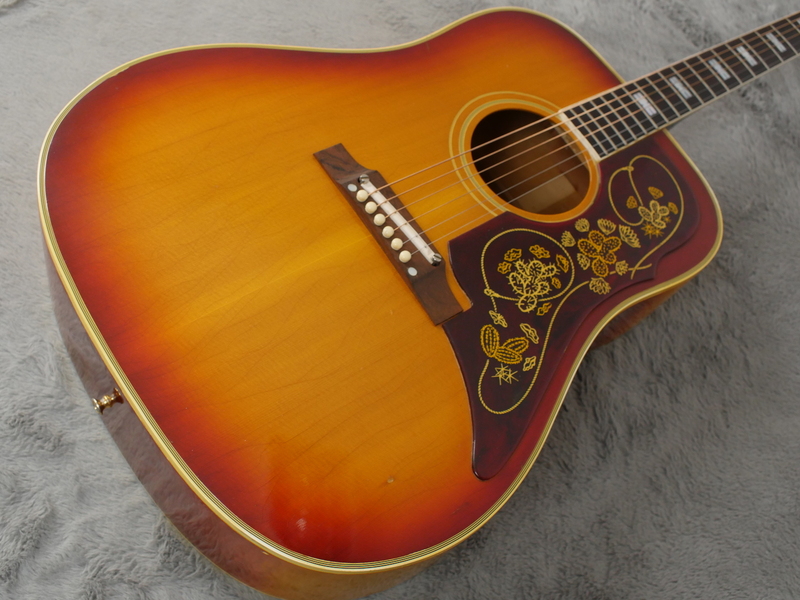 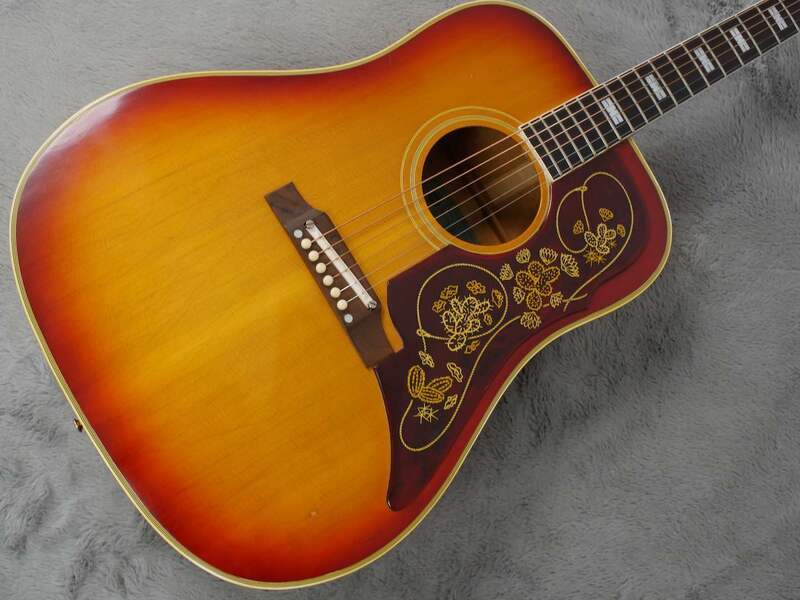 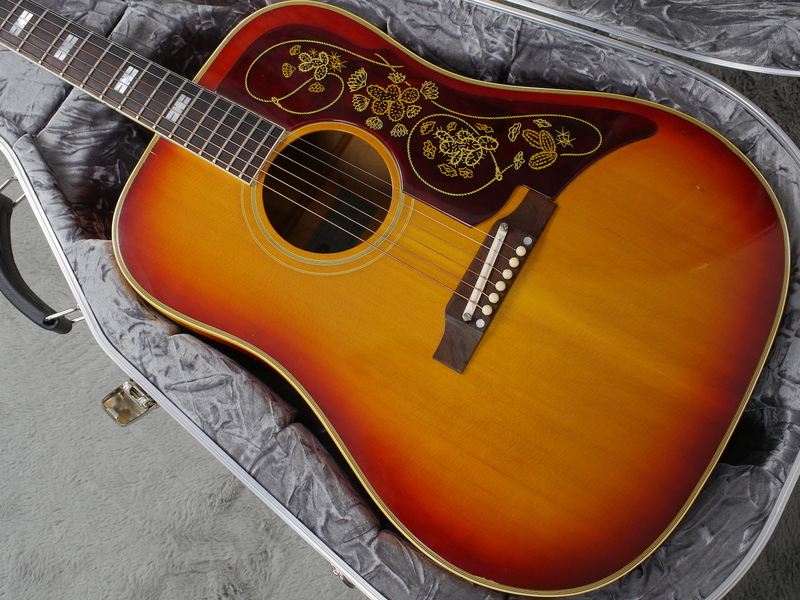 It is in fantastic condition with no issues and pays and sounds like the classic Gibson Hummingbird, Dove etc of that period. 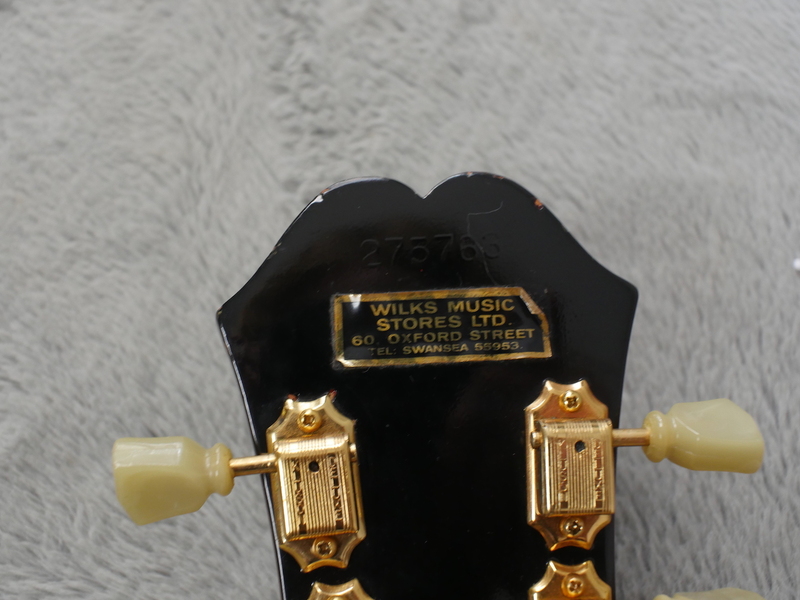 A sound that will be familiar to many 70’s classic rock recordings as a lot of big names during this period loved recording these guitars, often finding they cut through a mix a tad better than Martin acoustics. 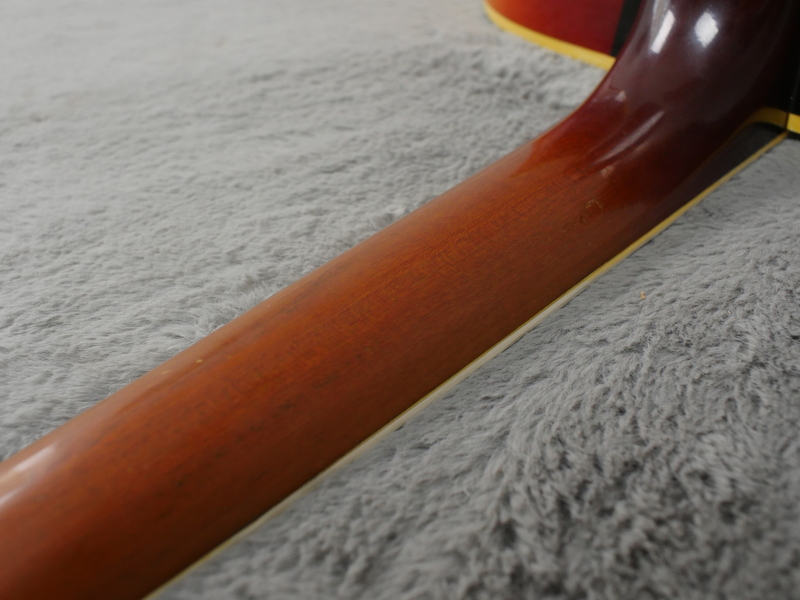 All original including frets that are in great shape. 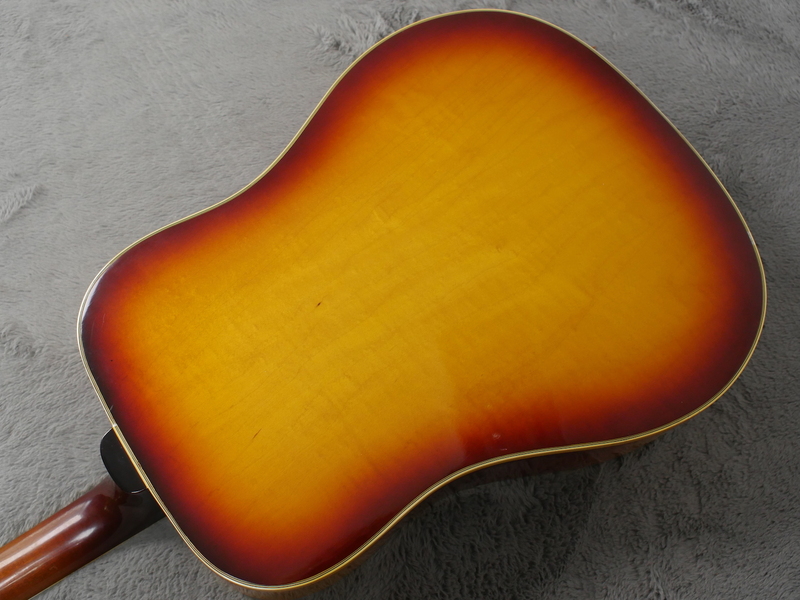 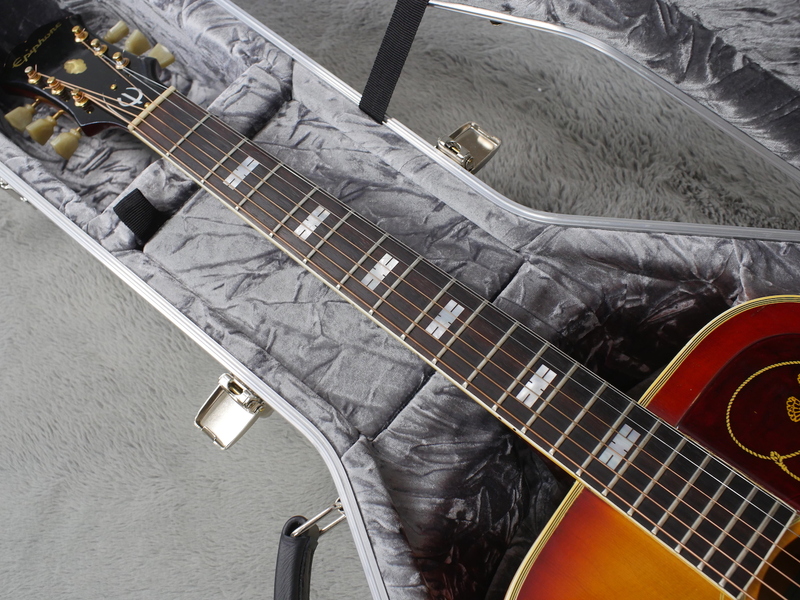 Beautiful, vibrant cherry sunburst with stunning sunburst sides and a gorgeous cherry sunburst back. 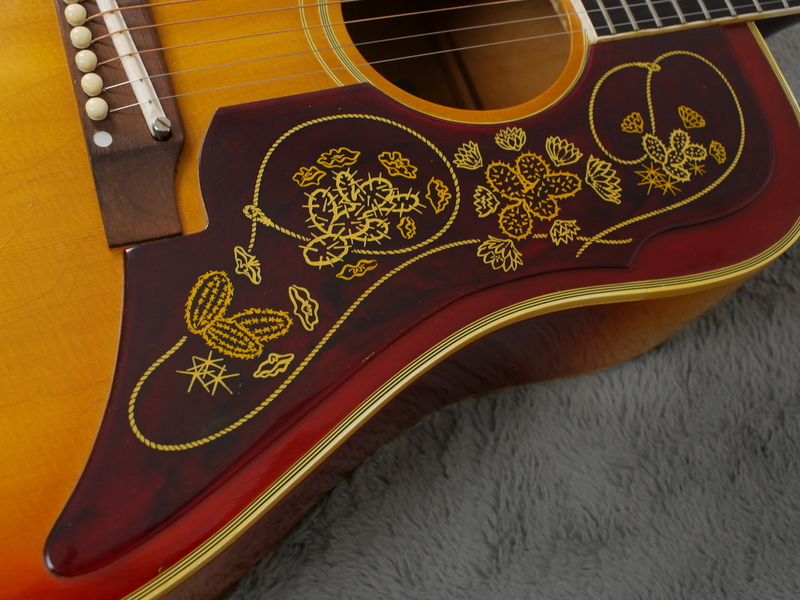 Ornate, pre 65 pickguard and of course the wide, 43mm nut. 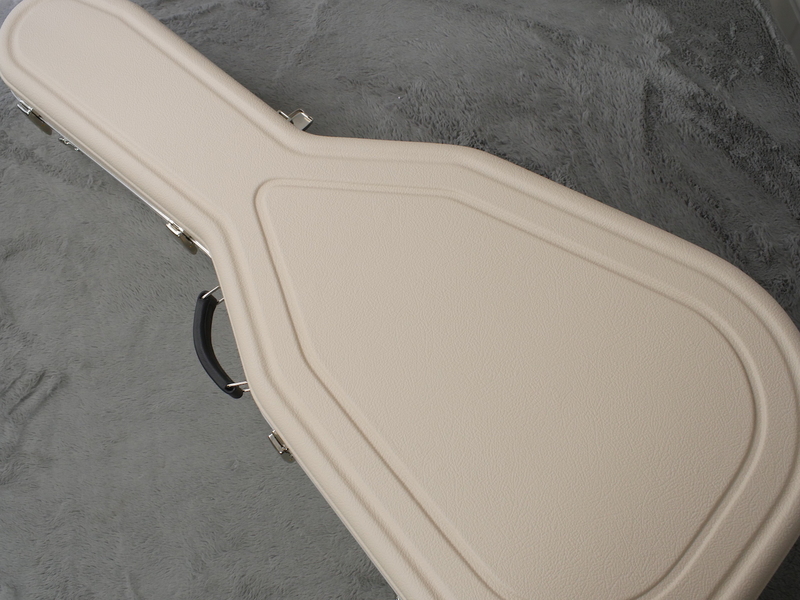 It comes with a modern Hiscox case that you can confidently be sure of it being able to handle some knocks. 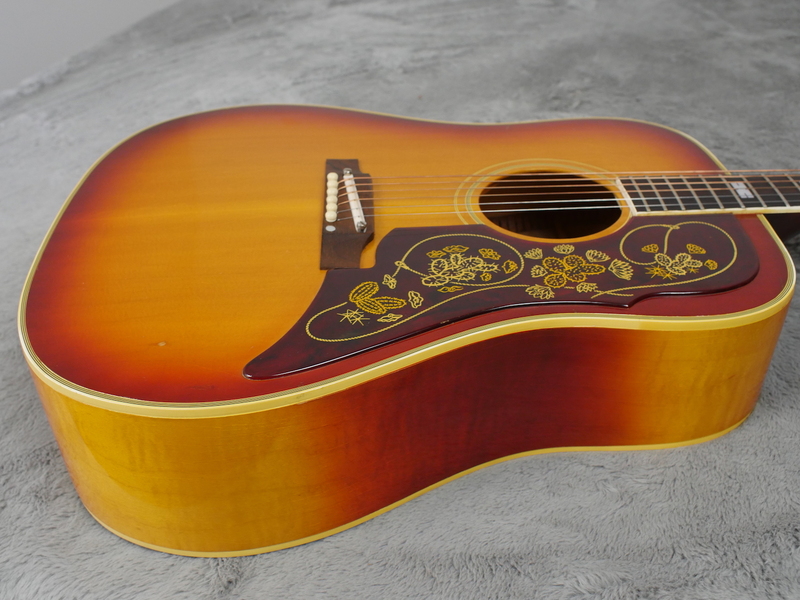 Plays real well with a nice low action and just sounds classic. 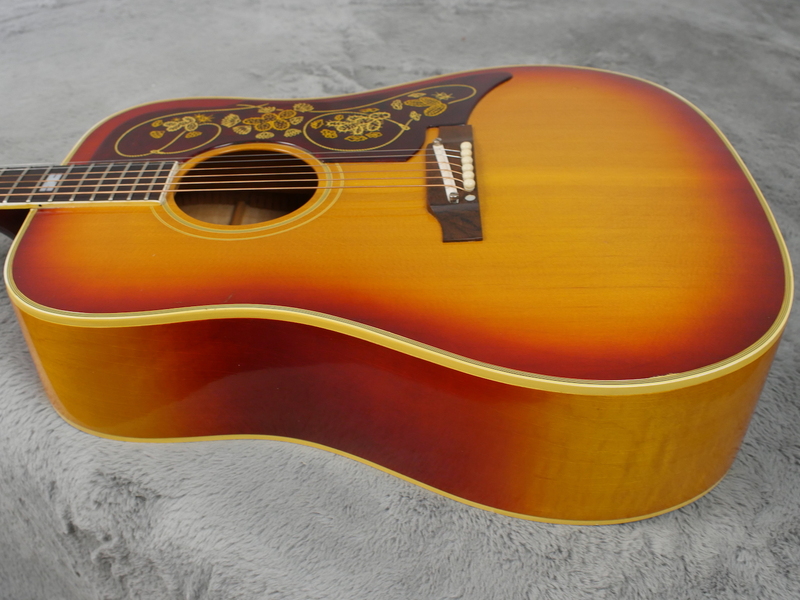 Come here and play it and you will soon see what we are talking about..
Not often we get these and this is a real nice example, in fact probably the nicest we have seen for sometime.